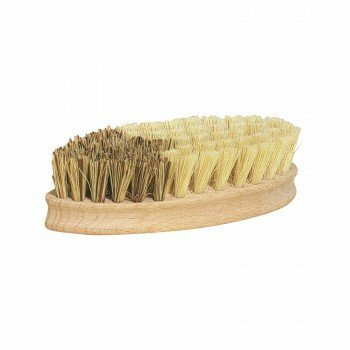 This German-made vegetable brush is eco-friendly, practical and durable. With two different bristle thicknesses, one end tackles hard to remove dirt, the softer end gives a more gentle clean for fragile objects. Unwashed food can lead to numerous health risks that can be easily prevented with the help of a vegetable brush.